﻿ Best Price on Dolphin Suites in Willemstad + Reviews! 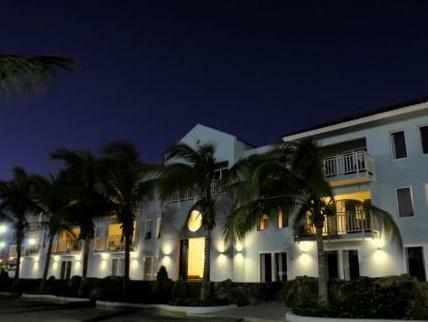 Within walking distance of the famous Sea Aquarium Beach and the Curacao Sea-Aquarium, this hotel in Willemstad, Curaçao provides visitors with spacious accommodations and free Wi-Fi. Dolphin Suites features an outdoor pool, which is surrounded by lounge chairs and tropical vegetation. Guests can spend the day relaxing at the beach or exploring over 65 nearby sites for scuba diving. A barbecue area is also available for free. 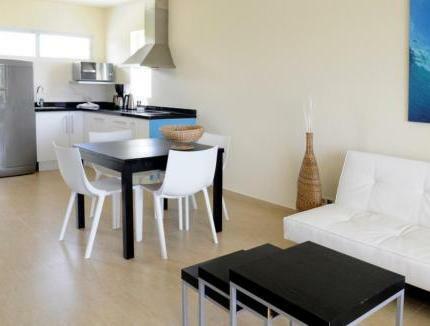 The suites, rooms and studios at the Dolphin feature kitchenettes or fully equipped kitchens. Twice a day a free shuttle service to a supermarket is available. At the end of a busy day, guests can read a book from the library or watch a DVD borrowed from the front desk. Guests at this property have free access to the Curaçao Sea Aquarium and to the beach. Beach towels are provided at front desk. Upon check-in photo identification and credit card is required. All special requests are subject to availability upon check-in. Special requests cannot be guaranteed and may incur additional charges. Please note this property does not accept American Express. Guests can pay through their bank. Wire transfers cost extra fees. 50% of the entire cost is requested upon confirmation with payments made through a bank. For the stay of a 3rd or 5th person in one of our room types, USD 25,00 per person per night excl. 7% tax will be charged no matter which age. If you need an extra bed, please check availability at least 24 hours before arrival at the reservation department. Please inform Dolphin Suites of your expected arrival time in advance. You can use the Special Requests box when booking, or contact the property directly using the contact details in your confirmation. The property will be undergoing renovations from Wed, Mar 06, 2019 until Fri, May 31, 2019. During this period, guests may experience some noise or light disturbances, and some hotel facilities and services may not be available. We chose Dolphin Suites for the location. Our family was enrolled in a PADI certification course over 3 days. The hotel is a 5 minute walk to the dive center, beach and restaurants. Our suite was spacious and clean and the staff very friendly and helpful. The price was also very good. The only negatives, there isn’t much of a view from the rooms, there is some construction at the property and there is no restaurant at the hotel. None of this was a problem for us but all are worth mentioning. It was really nice to stay and enjoy this hotel. Extremmely clean, excellent attention, beatiful deatils such as the coffee, the area for reading, books, swimming pool, BBQ, etc. I was really impressed with the options for persons using wheel chairs, not my case but still appreciated. Please improve the internet service, not good at all in the rooms. A nice hotel, with a realy friendly and helpfull staff. Big and nice room. Close to beach. et flott hotell, med moderne og store hotellrom. kort vei til strand, også et lite basseng i bakgården til hotellet. svært hyggelige og serviceinnstilt personell. nær offentlig transport inn til sentrum.